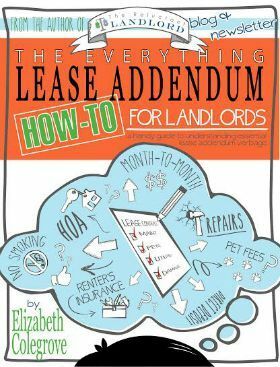 You are here: Home / I am a Reluctant Landlord / Landlords: Stay out of Trouble With These 5 Rules! 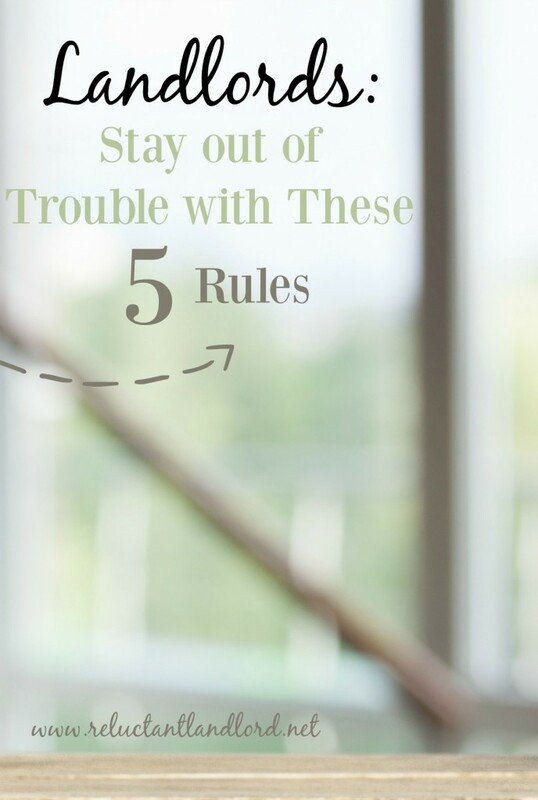 Landlords: Stay out of Trouble With These 5 Rules! Five Rules to Keep you out of Landlording Trouble!! Following these simple rules will keep you out of most landlording trouble. Evaluating Self-Management vs. Property Management with ALL the fact to determine what is best for you. Treating Your Rental as a BUSINESS. Would any business accept a sob story at the checkout counter? Having an O-SHOOT Fund. Murphy’s Law means that Murphy will find you; the toilet pipes will explode despite your regular maintenance. Having an “O-shoot” fund will mean you can get water mitigation services out to your property in a flash to lessen the damage and maybe save the floors! Keeping Your Rental At MARKET RATES. Be aware of rental pricing in your specific market. Who knows? You could be well under market and missing out on more income or you could be scaring away potential tenants who think your price is too good to be true! Following Your LEASE NO MATTER WHAT– as seen in my article $650.49— you can save yourself tons of hassle and money by having a clear and concise lease that you follow to the “t”.